I don’t think so. I think you have to have some understanding of the subtleties of baseball to get what’s going on. So I hope American baseball fans will indulge my making a few general comments about the game and about the associated underlying thematic issues before discussing the specifics of the story. The ultimate goal of baseball is for a team, comprising nine players, to score the most “runs”. At any given point in a game, one team is on offense (“batting”) and attempting to score runs, while the defending team is in the field, trying to prevent runs from being scored. Successive individuals on the batting team will attempt to bat a ball, thrown by the opposing team’s “pitcher”, into the playing field and out of the reach of the defending team’s “fielders”. By doing so the batting team hopes to move players successively around the three “bases” in the field in order to get back to the original batting position (“home plate”) – at which point the team has scored a run (see the figure of the playing field). 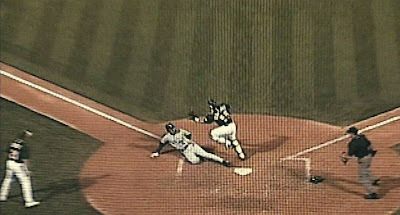 An offensive player running between bases is in danger of being “tagged out” by the defensive team; but each base is a sanctuary from being tagged out, and a player can remain safely there while the next offensive player takes a turn to bat. A team’s turn at batting is ended when they have made three “outs” – an out is registered when the batter is unable to hit three properly thrown pitches, or when a batted ball is caught by a fielder before it touched the ground, or when a runner is tagged out. After completing a turn at batting, the team will take the field on defense, and the opposing team will have a turn at bat. When two teams have each completed a turn batting, it is called an “inning”, and a full game consists of nine innings. From this brief description it is clear that each team has a total of 27 outs (3 outs for each of 9 innings) available for them to use up, during the course of which they will try to score as many runs as possible. That part of the game is simple enough. But there are many intricacies to the rules of the game, and it can take some time for even an American to become familiar with all of them. One of the distinctive aspects of baseball and part of its appeal is that it is a game of skill, as opposed to brute force. Talent for the game is not so much based on strength, speed, or leaping ability, but on physical coordination. Even a person with ordinary physical attributes can have the dream of becoming a great baseball player if he is physically coordinated. In addition, there are a number of different baseball skills, and a reasonably good team can be composed of players who are not all-around athletes, but instead have only a specialized skill that fills a gap in the team’s skill set. I’ll return to this issue of skill shortly. Another distinctive feature of baseball is that it does not comprise continuous play but is a a stop-and-go game of many individual “plays”. During an entire game the pitchers on each team may throw 150 or more pitches, each of which can result in some complicated action that is a play. All of these observed plays can be documented by spectators and in various ways measured as somewhat replicable events. This has led to an enormous amount of “statistics” – aggregated performance data about all teams and players – that have been collected about the game – much more, as far as I can determine, that any other sport or game. To get an idea of this enormous accumulation of statistics, you might like to examine Baseball-Reference.com or the Baseball Almanac. So there is a lot of knowledge that has been collected about baseball, and this baseball knowledge is different from baseball skill. It is the contrast between knowledge and skill and how the two can be used that underlies the meaning of Moneyball and represents a theme far more general than just the game of baseball. It has always been a pillar of Western thinking that for a piece of knowledge to be “true”, it must be verifiable, and therefore it must be expressible in a form that can be communicated to others. This means that what we believe to be knowledge must be expressible in some logical form and communicable to others in some sort of linguistic format. Knowledge has to be representable as a mental model that we can tell others about. But skill is different and only depends on performance. To be skillful is to interact successfully in a given environment, and a mental model is not part of the definition. So a mathematical model in physics is a representable mental model and hence knowledge, while the capability of riding a bicycle is a skill. This is sometimes summarized as the contrast between “know-how” (skill) and “know-what” (knowledge). There are some people, such as Michael Polanyi  and many cognitive scientists, who conflate the two and refer to skill as a special type of knowledge, called “tacit knowledge”. These people mostly believe that the operational aspects of a skill are encoded in the brain in some logical format, but that it is just a little too complex to be articulated, and so lies “just below the radar” of consciousness. But I believe that skills and knowledge are fundamentally different and not just two degrees of the same sort of mental activity. So in my view, it is better to keep knowledge and skill as separate and distinct categories. In fact the fundamental difference between knowledge and skill has been emphasized from a different quarter – phenomenologist philosophers. For example, Martin Heidegger distinguished between two basic modes of encountering things in the world – “ready-to-hand” and “present-at-hand” . By his account, when we see a tool, such as a hammer, we usually see it as ready-to-hand: we see it as something we can use to accomplish a task. In this way, it becomes part of and enhances our skill at doing something. But when we look at the same tool as a theoretical object, an item of knowledge that be analyzed in terms of its properties, we are viewing it as present-at-hand. Similarly, Maurice Merleau-Ponty, when he spoke of the “intentional arc”, said that skills involve a tight interaction between the performer and the environment, such that skills are not stored as mental representations, but as operational dispositions . According to his thinking, the body attempts to maintain a “maximal grip” on a situation by continually configuring itself for an optimal interaction. So we learn how to ride a bicycle not from a book, but by making continual interactive embodied-mind adjustments in the world. Thus skills and knowledge are fundamentally different, and skills are the more critical aspect of intelligence. But knowledge is still very valuable. Knowledge can be used as a tool to support one’s skill, just as the craftsperson employs the right tool to enhance his or her craftsmanship. In fact in our modern IT-besotted “Knowledge Economy”, many organizations tend to place so much emphasis on knowledge that they neglect the importance of interactively grounded skills. But there is a very prominent organizational domain (and one germane to this discussion) where knowledge is not overvalued – and that domain is baseball. As I mentioned, baseball is the quintessential game of skill, and the focus on skill dominates all aspects of the game, including management. As a consequence of this focus on skills, knowledge tends to be neglected. 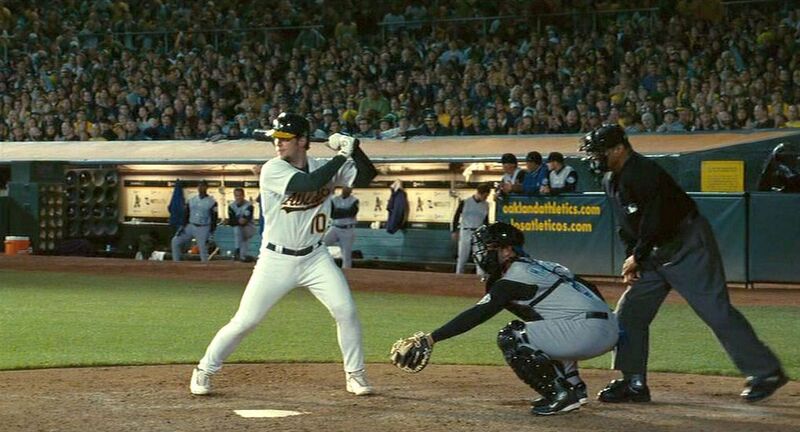 This brings us back to the film Moneyball. In the US major professional baseball leagues, as with many professional sports around the world, the individual teams compete for the best players in an open job market. Usually the wealthiest teams wind up with the best players. In 2002 the Oakland Athletics baseball team found itself losing out to wealthier teams when it came to bidding for top players in the job market. Top Athletics players Johnny Damon, Jason Giambi, and Jason Isringhausen all chose to sign as free agents with other baseball teams. With his top players gone, the Athletics’s general manager, Billy Beane (played in the film by Brad Pitt) needed to come up with a new strategy. The best teams in the league, such as the New York Yankees, had three times as much money to bid and spend on players as the Oakland Athletics had. How could the Athletics compete with the best teams under those circumstances? 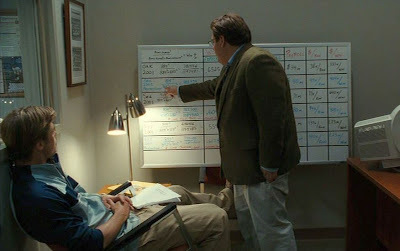 Moneyball tells the story of how Beane came up with such a new stratregy and what transpired as a result. Since the focus on skill in baseball has been so long-standing and pervasive, even the baseball talent scouts have relied on their intuitive skills (rather than on knowledge) to judge player value when looking for new prospects. A scout would watch the play of a prospective player and assess his worth based on his own “feel” for the game, which was taken to be his accumulated wisdom based on experience. This was understood to be the talent scout’s essential skill. The strategy that Beane decided to employ was to turn his focus to knowledge – to do some knowledge mining. 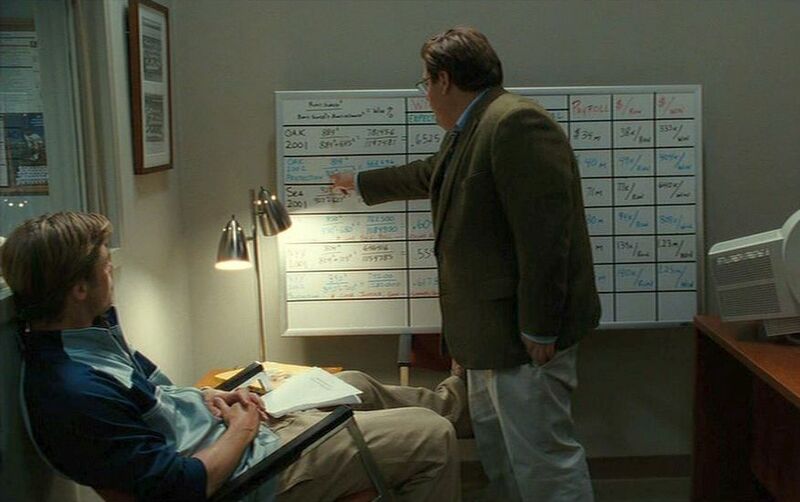 This he did by employing a numerical analyst, Peter Brand (Jonah Hill), who collected and evaluated statistics about all the available players. Brand was not a skilled baseball scout and had evidently not even played much baseball. He was just a baseball fan – but a knowledgeable baseball fan. 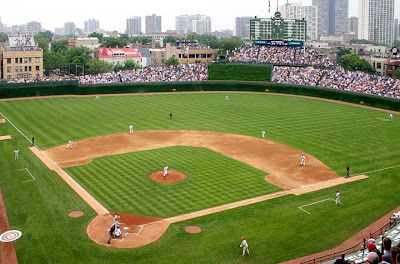 Among the many baseball fans in the US, there was a special group devoted to “sabermetrics”, a term derived from the acronym SABR, for “Society for American Baseball Research”. Pioneered by amateur statistician Bill James in the late 1970s, sabermetrics sought to analyze aggregated baseball statistics (of which, as mentioned, there is a huge amount) in order to make performance predictions. Along the way, James and the sabermetricians made a number of interesting discoveries that ran counter to conventional baseball wisdom. For example, they discovered that the 27 “outs” that a baseball team had available to them in a game were a precious commodity, and it was never advisable to sacrifice even one of them. Hence their statistical analyses demonstrated that a well-known baseball play, the “sacrifice bunt”, was counterproductive and should never be used. Similarly, they observed that attempts to steal a base were usually unproductive, unless a successful outcome was almost certain. And they also noted that getting on base was crucial, so a batter should “take” (avoid swinging his bat to try to hit) many pitches in an effort to be awarded a “base on balls”. Thus a group of baseball analysts, by simply watching games and employing mathematics, were able to come up with information that challenged the baseball canon. Peter Brand was one of these sabermetricians. 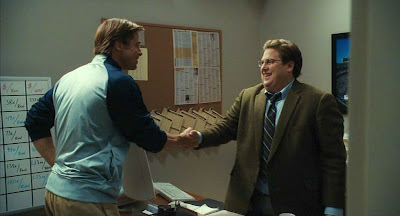 Much of the story of Moneyball traces the interaction between Billy Beane and Peter Brand. Brand was a knowledge guy. Beane was a skill-guy. In fact Beane had been a major league baseball player, himself, though his playing career had not lived up to expectations. But Beane was also smart – smart enough to have once been awarded a scholarship to Stanford (which he had declined in favor of signing a professional baseball contract instead) and smart enough to see the potential of Brand’s sabermetric approach . Prior to the start of the 2002 baseball season, general manager Beane installed Brand as part of his management team. The other members of his management team were not impressed with the unprepossessing and clearly unathletic Brand. He was an awkward goose in the company of a bunch of sleek, self-satisfied ducks. But Beane persisted and began acquiring low-cost players based on Brand’s recommendations. Brand pointed out to Beane that some available players were, on the basis of his statistical analyses, much more valuable than they appeared. These players did not look like model athletes, but they could be effective, and they could be acquired on the cheap. 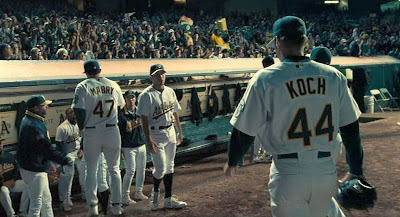 Once the regular baseball season game, Beane began insisting that the team employ Brand’s sabermettrician-inspired strategies, such as avoiding base-stealing and sacrifice bunts. This proactive involvement with the players was an unusual practice for a baseball general manager, who manages the team’s personnel and leaves the on-field tactics to the field manager (who is essentially the head coach, but in baseball parlance is just referred to as the “manager”). But Beane was a former player and only about forty years old at this time, so he still retained his own intimate feel for the game, much to the consternation of the manager. 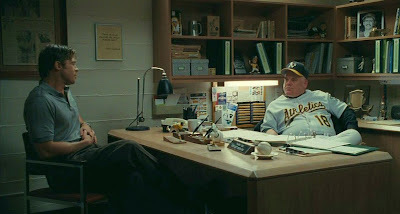 In fact Moneyball shows that the manager, Art Howe (played by Philip Seymour Hoffman), was a traditionalist who dismissed the new tactics and was acidly resentful of his boss’s interference into his own domain. Nevertheless, the Athletics, with its somewhat rag-tag collection of players, began the 162-game season reasonably well, winning 16 of its first 27 games. Then they began to falter, losing 15 of their next 19 games. All the nay-sayers in the team’s clubhouse and in the media came out now and expressed scorn for Beane’s new approach. It was too gimmicky, they said, and it just wouldn’t work. But Beane and Brand stuck to their guns – Brand’s recommendations were not based on hunches but on solid statistical support from past performances. Gradually the team began to win. And the Athletics’s baseball fans rallied to the team’s support and began flocking to the stadium to watch the games. Later on in the season, in fact, the team went on an extraordinary winning streak, winning 20 games in a row. This set a new league record (records date back over one hundred years). The film dwells a bit on the last game in that winning streak, which was truly phenomenal. The Atheltics started that game against the Kansas City Royals by building a huge 11-0 lead in the early innings. Then the Royals staged a comeback. In the 8th inning the Royals scored five runs to cut the lead to 11-10, and in the 9th inning, the Royals finally tied the score at 11-11. But the reeling Athletics still had their own 9th inning turn at bat. 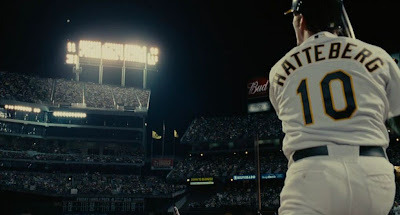 The manager inserted one of Beane’s acquired “ugly ducklings”, Scott Hatteberg, as a substitute to bat, and Hatteberg promptly hit a dramatic home run to win the record-setting game in front of the home crowd. This was not Hollywood, but how it actually happened, and a hack film scenarist couldn’t have come up with a more melodramatic sequence of events. So Beane and Brand were finally vindicated. The Athletics finished in first place with 103 season victories (an unusually high total even for a first-place team). The end-of-season playoffs were an anticlimax, though, and the Athletics were eliminated without winning the championship. Nevertheless, Beane was recognized as an ingenious genera manager for guiding an underfunded team to the best record. 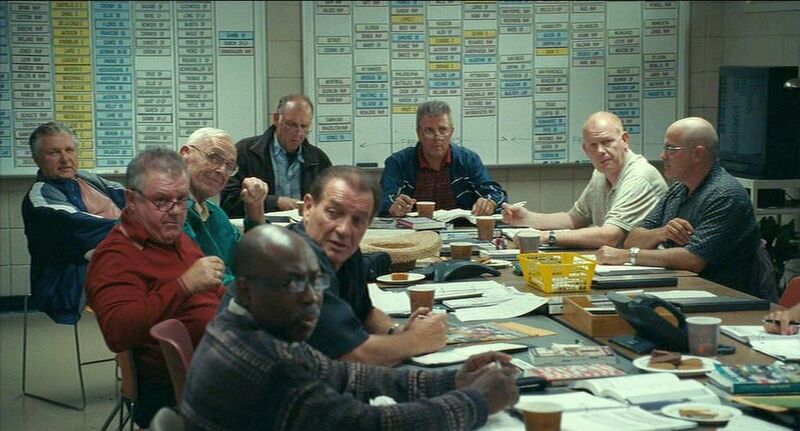 Of course, there are other narrative threads to Moneyball than the one of skill and intuition versus objective knowledge. One of them concerns the psychological journey of Billy Beane. He is shown to be a man who feels utter agony when he loses. He is still tortured by his failed baseball career as a player and often mentally relives past episodes of failure. He suffers so much at the thought of his Athletics losing that he often avoids watching games and buries himself in personal exercises in his gym. He is also divorced, and his teenage daughter is also “lost” to him – she’s now in the custody of his ex-wife, who has remarried. The film shows Beane struggling hard during his parental visits to maintain contact with the young girl. So in the face of all this anguish about losing, Beane’s managerial vindication is a personal triumph. At the end of the 2002 baseball season, he if offered a huge contract to be the general manager of a rival, wealthier team, the Boston Red Sox. There he could apply his knowledge-enhanced managerial skills and have more financial resources with which to do it. But he had long ago turned down a Stanford scholarship for money, and he decides not to repeat that kind of decision. There are other things more important to him than money this time around. 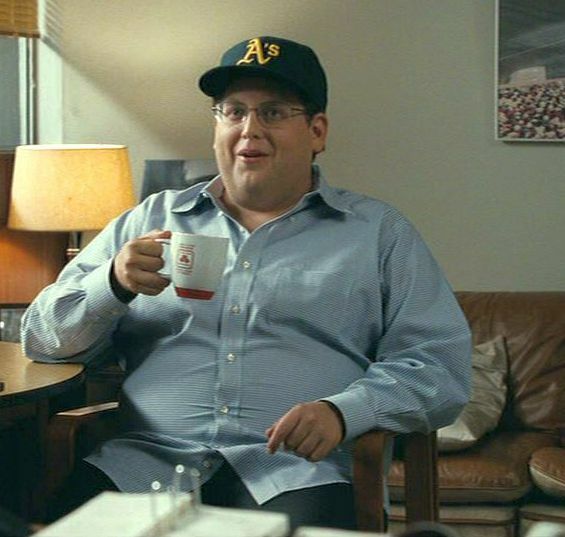 One of the appealing things about Moneyball is the ingenious casting. I suppose credit for this should extend beyond just the casting director, Francine Maisler, but whoever is responsible deserves high praise. Jonah Hill is fabulous and exceptionally convincing as the nerdy Peter Brand, and Philip Seymour Hoffman is also dramatically effective as the cynical field manager, Art Howe (although the real Art Howe reportedly felt he was misrepresented in the film). In addition, the players, the scouts, the executives all look the part. Brad Pitt is effective in his own way, too. His sad eyes project a wincing, pensive look about him that adds depth to his roles. This winds up occupying a lot of screen time, but he often manages to suggest a reflective person (when he is not indulging in wasteful fist-slamming temper tantrums). Overall, you have to credit director Bennett Miller and screenwriters Steven Zaillian and Aaron Sorkin for making Moneyball something much more substantial than just another sports thriller. In fact Sorkin had similar success elevating The Social Network (2010) well above what might have been expected of a film oriented around Facebook. So I will be keen to look out for the next Sorkin outing. Polanyi, M. (1966). The Tacit Dimension. Doubleday. Heidegger, M. (1927/2008). Being and Time. J. Macquarrie and E. Robinson (trans.). Harper Perennial Modern Classics. Merleau-Ponty, M. (1945/2002). Phenomenology of Perception. Routledge. 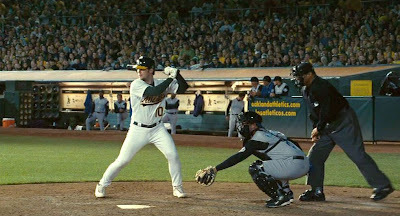 In actuality, Beane had been interested in sabermetrics before 2002, but probably for narrative economy, the film compresses this development into the single year.